Looking at these photos, you would never guess that we shot these in OCTOBER! Yes, a rare, warm, October day.... dreamy, right? These shots of Sophie turned out more amazing than either of us could have imagined. Sophie and I had to reschedule due to bad weather earlier in the week, but how lucky we were to get this unbelievable fall day instead. Sophie will be graduating from KHS in 2018 and I was so impressed with her intelligence, kindness and beautiful spirit. She's a young lady with big hopes and dreams and is setting her sights on working in the marine industry. So how perfect that Parson's Beach in Kennebunk would be the breathtaking backdrop for her photos! As a photographer, this is the kind of beach light that we dream of, and to top it off, the beach was empty (bye, tourists! ), making everything easier. We caught the stellar sunset for a few shots, and then the bugs came in for the kill! We forgot bug spray, and we paid for it. But looking at these shots, you would never know! Sophie was amazing through it all and still pulled off some outfit changes. 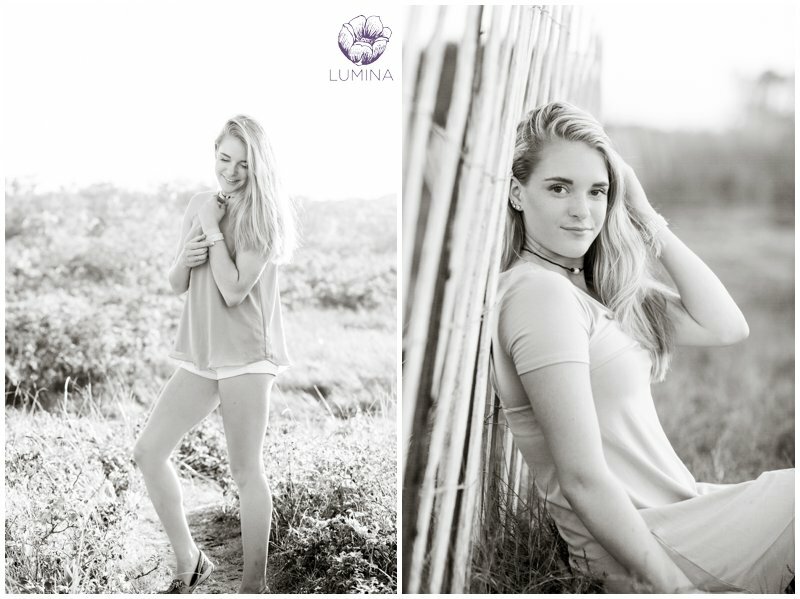 I had a fantastic evening with her and I am so glad she chose Lumina by Marina Photography.